The inaugural Living Freedom residential school took place in London on 6-8 April 2017, offering an opportunity to explore the past, present and future of freedom. 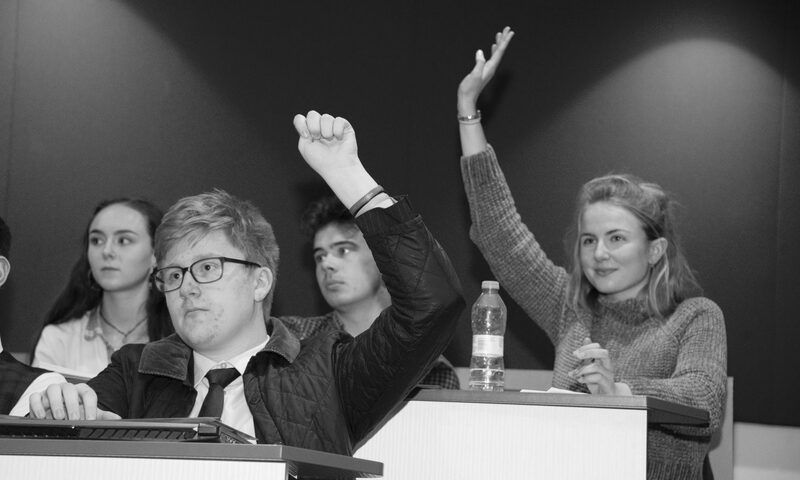 Topics included: the philosophy of freedom, freedom of conscience and free speech; lectures and debates provided an open dialogue on key themes and classic texts ranging from free will to the case for democracy, and economic freedom to artistic autonomy. Attendees engaged in a series of workshops and manifesto challenges, in the process gaining the background, knowledge and ideas required to revitalise freedom as a political project and a lived experience. We believe that it is only by critically engaging with ideas that we can we equip ourselves with the intellectual armoury required to reinvigorate freedom in the twenty-first century. Delivered by a series of experts, thinkers and campaigners, this school challenged all attendees to develop their critical faculties and take the intellectual risks required to achieve the ambition of making a fresh response to contemporary constraints on freedom. Living Freedom is now under the auspices of boi. What accounts for the illiberal atmosphere that exists in society today, and why is there a widespread feeling of discomfort with freedom, and a downgrading of individual autonomy and free will? If we want to live freely, what are the main constraints that we face, politically and practically? How does freedom fit with the state, society, sovereignty and democracy? What are the main intellectual arguments and moral claims that we need to develop so best to make a contemporary case for freedom and to give freedom genuine meaning in the 21st century? In the mid-seventeenth century, Thomas Hobbes published his famous series of works of political philosophy which grappled with the issue of liberty, responding to key ideas on freedom that stretched back to Aristotle and classical antiquity, lay at the heart of the Roman republic, and flowered within the City-Republics of Renaissance Italy. This session examines the classical roots of liberty and asks what it means to be free and how we should understand the relationship of liberty to power and politics? Freedom of conscience is central to the story of European history. Wars have been fought across the continent over the right to believe and worship freely. But today this right seems to be under attack. France is banning the Burqa with approval from the European Court of Human Rights. Christian bakers are being successfully sued for refusing to bake cakes that they consider against their beliefs. Are these new attacks on freedom of conscience or just the price of living in an equal society? Free will is at the root of our notions of moral responsibility, choice and judgment and is central to our conception of the human individual as an autonomous end in himself. Nevertheless, free will is notoriously hard to pin down, and from theologians through to neuroscientists many have challenged to the notion of free will on grounds that we are determined by the laws of nature, history, society or biology. So what is free will, and what does it mean to have free will? Why at various points in history has it been judged important, and what role does it play, for example in the moral or legal spheres? “Existence precedes essence” said Jean Paul Sartre, arguing that rather than living to a blueprint or pre-determined plan in fact human beings have no pre-established purpose or nature, nor anything that they have to or ought to be. But what are the implications of rejecting any external source of values or Aristotelian common human nature which could be the source of morality? If we are born without specific purpose and there is no reason or meaning for our existence, what does that mean for how we view the world and how we understand our place within it? Panel debate: Are there limits to Libertarianism? “’Libertarian’ should be seen as a modifier rather than a noun — an attitude, not a fixed object” argues Reason’s Nick Gillespie, a comment perhaps provoked by the fact that Libertarians have traditionally been drawn from wide-ranging political perspectives from free marketeers to anarcho-capitalists. The common denominator has been to assert freedom from the clutches of the state. Yet given that the likes of infrastructure construction, health treatment and education provision by the state has often been central to services provision, should we accept and even see a beneficial role for the state? If the twentieth century was a battle between the free world of liberal democracy and the forces of totalitarianism in Nazi Germany and the USSR, the fall of the Berlin Wall was supposed to symbolise the triumph of democracy and freedom. Yet two decades into the twenty-first century, faith in democracy has never looked shakier as the clamp-down on civil liberties allied to the rise of populism accompanies fears that democracy is no longer a vital safeguard of individual freedom. Why has democracy fallen into crisis? Does democracy necessitate a trade-off with individual freedom? Are strong checks and balances necessary to prevent the popular will overriding individual sentiments? While today’s society upholds the value of profit-making, it seems we are still captured by the relation of the worker to the commodity he/she produces. As Marx stated in Capital, commodities – as opposed to human labour – become the focal point of capitalist society. But does our obsession with the latest iPhone prevent us from seeing how certain workers are being exploited? And how does the emergence of artificial intelligence in the workplace impact the autonomy of the worker? Does our economic system merely sustain an illusion of choice? From policing offence in the public sphere to monitoring emails and invasions of privacy, the daily news is awash with an enormous range of stories that raise vital questions on the future of freedom. Having spent lunch perusing the papers for newsworthy freedom related stories, each group considered the moral questions raised as regards to freedom and liberty. In Anglo-Saxon countries there is a new and distinctive form of state: the busybody state. This state is defined by an attachment to bureaucratic procedures for their own sake: the rule for the sake of a rule; the form for the sake of a form. Its insignias are the badge, the policy, the code and the procedure. The logic of the regulation is neither to represent an elite class interest, nor to serve the public, nor even to organise social relations with the greatest efficiency as with classic bureaucracy, but rather to represent regulation itself. This session explored the contemporary state, the novel ways that it restricts freedom, and the new ways in which we must campaign for freedom. It is 500 years since Martin Luther nailed his 95 Theses to the door of All Saints’ Church in Wittenberg, in the process kickstarting the world’s first pamphlet war and heralding the Protestant Reformation together with ideas which would profoundly change Europe. Working in groups of five people, the challenge in this session was for each team to write a short manifesto consisting of propositions that argue for expanding liberty in a key area where freedom is under threat today – for example, artistic autonomy, freedom of movement or free speech. Teams were asked to utilise knowledge gained over the course of school to develop their approach and propositions.